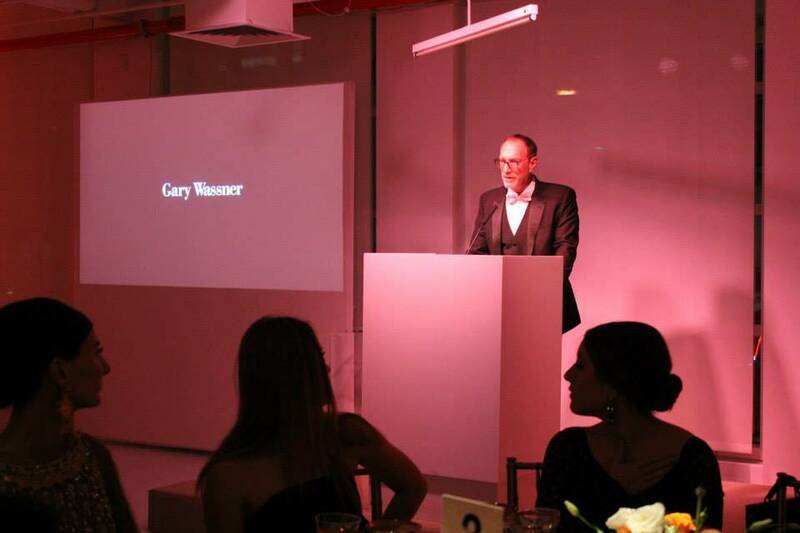 Moving soiree and prestigious setting for the third edition of the laFondazioneNY Gala that this year took place at the Astoria Museum of Moving Image, evocative and symbolic place for the Cinema. The Museum, on the campus of the historic Kaufman Astoria Studios, is a thriving film andmedia production facility, which was originally established in 1920 as Paramount’s east coast production facility. Today it maintains the nation's largest and most comprehensive collection of artifacts relating to the art, history, and technology of the moving image. Located in the neighborhood of Queens Astoria/Long Island City, lively and dynamic, with more than one hundred ethnic groups representing the communities from around the world, the Museum is an extraordinary cultural meeting point. LaFondazioneNY could not have picked a better background to organize its biggest annual event, this time related to Cinema. 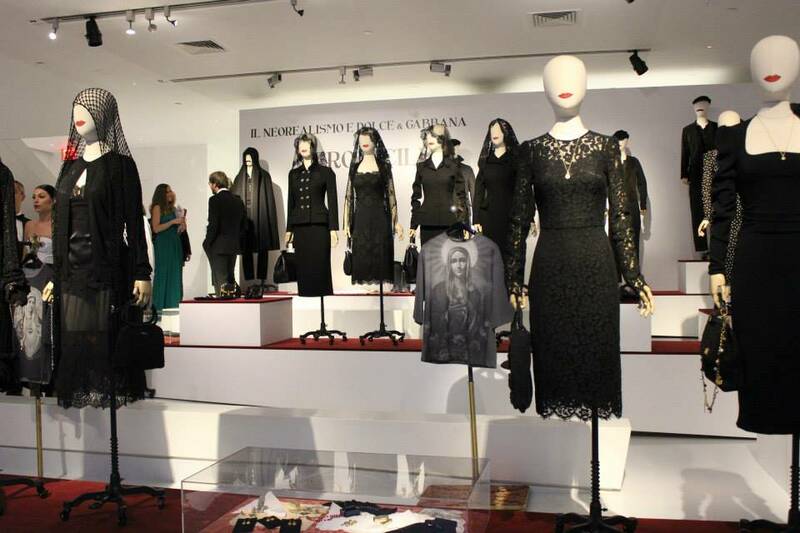 Indeed a unique setting, with some Dolce and Gabbana dresses on display and a preview of some of the Atelier Tirelli’s costumes. 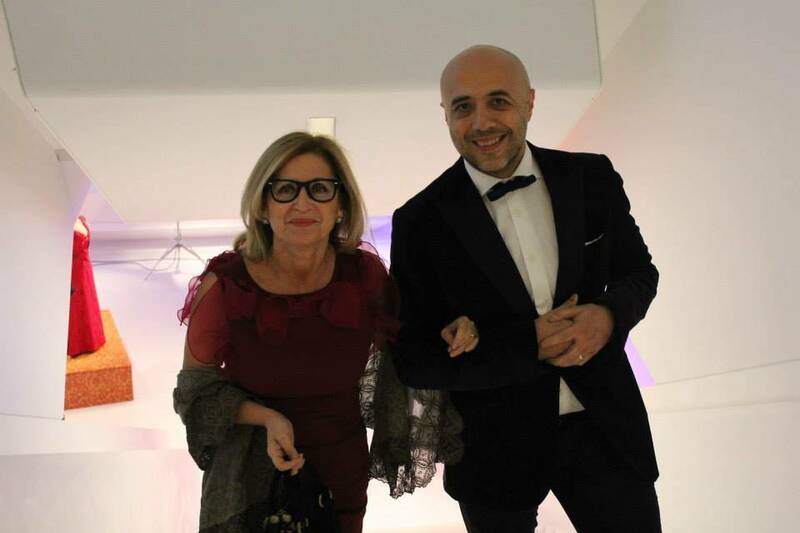 In the spring the renowned Italian Atelier, thanks to laFondazioneNy, will have its masterpieces shown in the same museum in an exhibition titled: "Costumes for Cinema from Tirelli Atelier". Umberto Tirelli opened his costume atelier in Rome in 1964 becoming in a short time the point of reference of the Italian Cinema, the atelier of choice for directors like Visconti and Fellini. 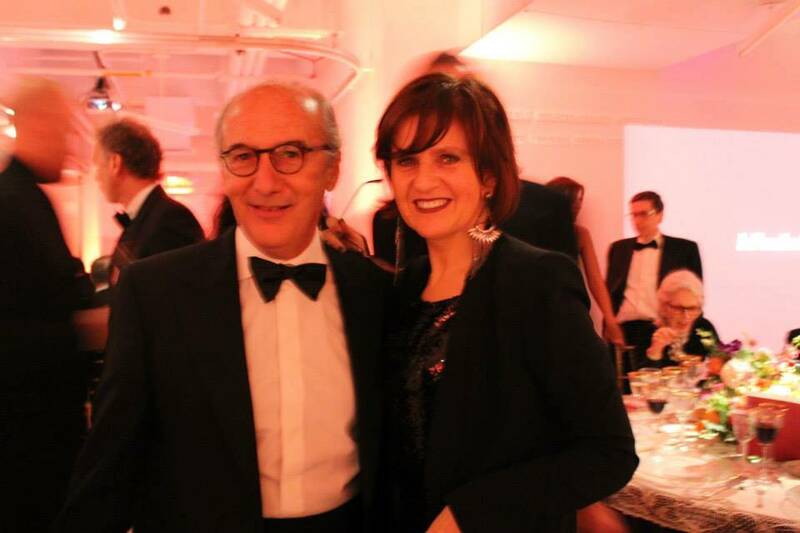 Every year LaFondazioneNY awards personalities who have offered their contribution, through their work and success, in different areas of Italian and American cultures. 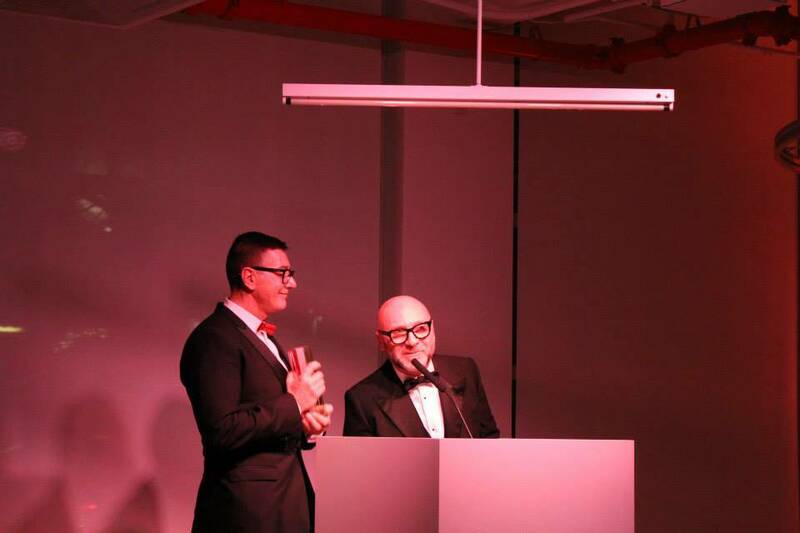 In this stunning background the event has seen three honorees as protagonists: the fashion designers Domenico Dolce and Stefano Gabbana, and the director Baz Luhrmann (director of movies like Shakespeare’s Romeo and Juliet, Moulin Rouge and The Great Gatsby) and winner of an Academy Award. 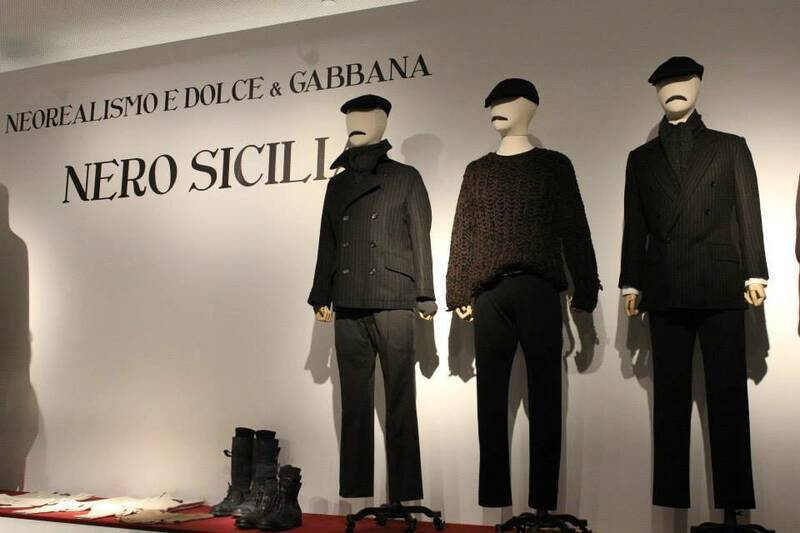 “ We live with movies and they inspired one of our collections” said Stefano Gabbana. Founded in 1985, Dolce & Gabbana is today a leading international luxury label. “Italy is in our hearts; a nation that combines excellence of food, fashion and cinema”. 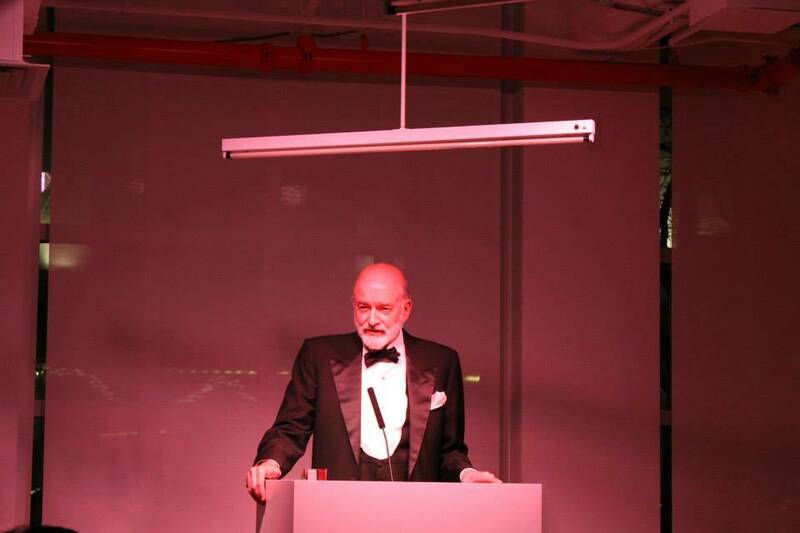 Addressing Riccardo Viale, the laFondazioneNY co-founder and chairman, he defined laFondazioneNY’s mission important and commendable, and for this reason he asked if “we could become board members”. 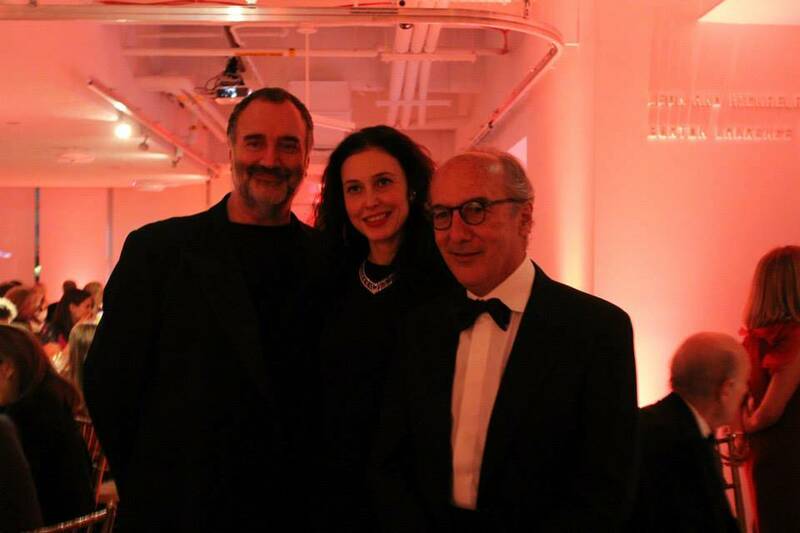 The director Baz Lhurmann highlighted the cultural influence of our nation: “Italy has given me so much and we owe a lot to Italian history and cinema”. During the ceremony were also awarded Joseph Perella, co-founder and president of Perella Weinberg Partner that received the Excellence in Finance Award, and Gary Wassner, CEO of Hilldun Corporation, who has received the Excellence in Business Award. 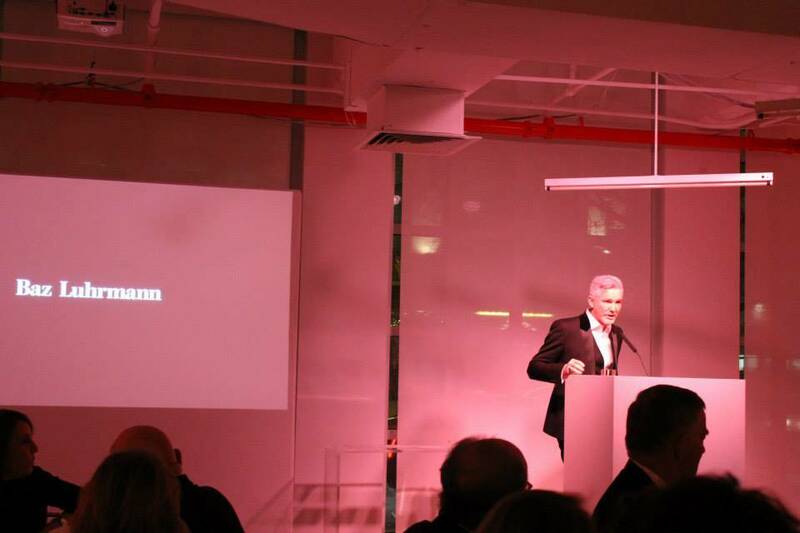 Sadly this year the great absentee was the creator/founder and president, together with Riccardo Viale, of laFondazioneNY: the design icon Massimo Vignelli, passed away last spring. Poignant moments during the projection of i-Italy’s video-tribute: silence, emotion, great attention and a long applause accompanied the images broadcasted on the four big screens. 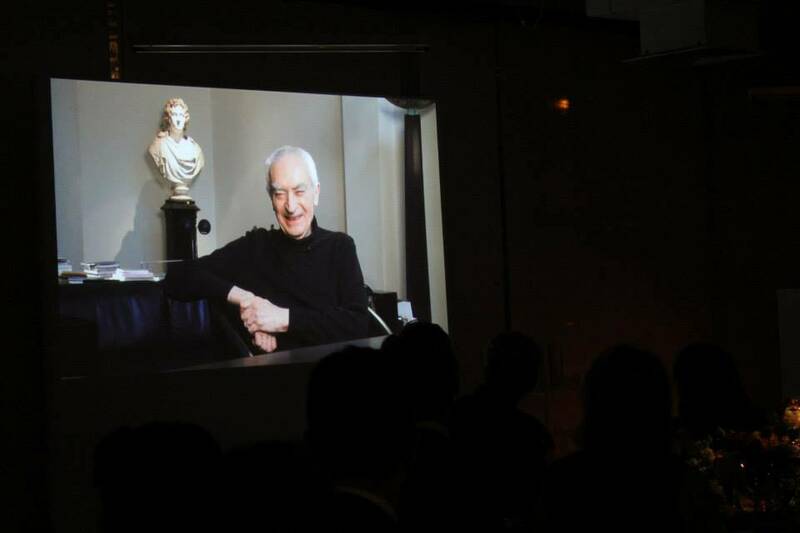 The passing of President Massimo Vignelli has been a difficult moment for laFondazione NY. He was the heart and soul of the Foundation. Today the baton has been passed on to another icon, Dante Ferretti, a multiple award-winning artist of Italian cinema and cinematography who declared how important and essential it is to keep on encouraging the dialogue among the Italian and American cultures and arts. 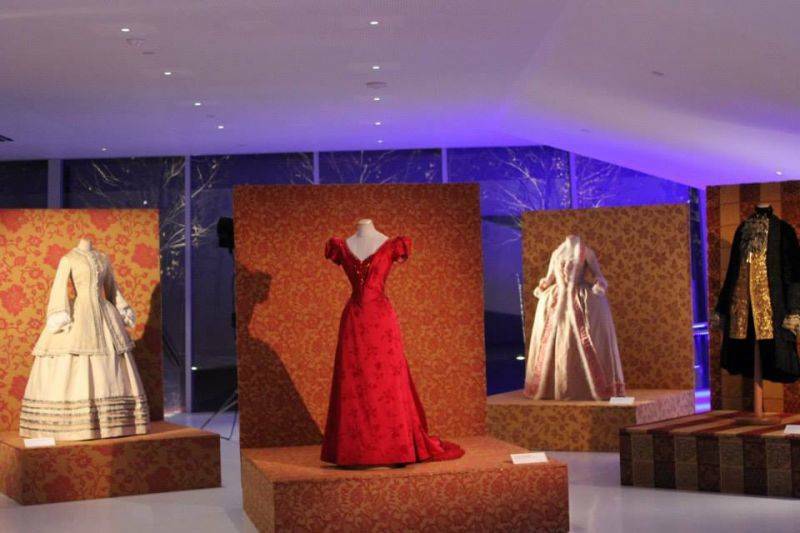 “The Atelier Tirelli’s exhibition- he added- with so many costumes previously never shown to the public, is a perfect example of the mastery of the Italian artisans in the world of Cinem, expressed through the design of the set costumes”. Over forty costumes from cult movies like Sofia Coppola’s ‘Marie Antoinette’, Luchino Visconti’s ‘The Leopard’ and ‘Death in Venice’, and Martin Scorsese’s ‘Age of Innocence’ will be on display. 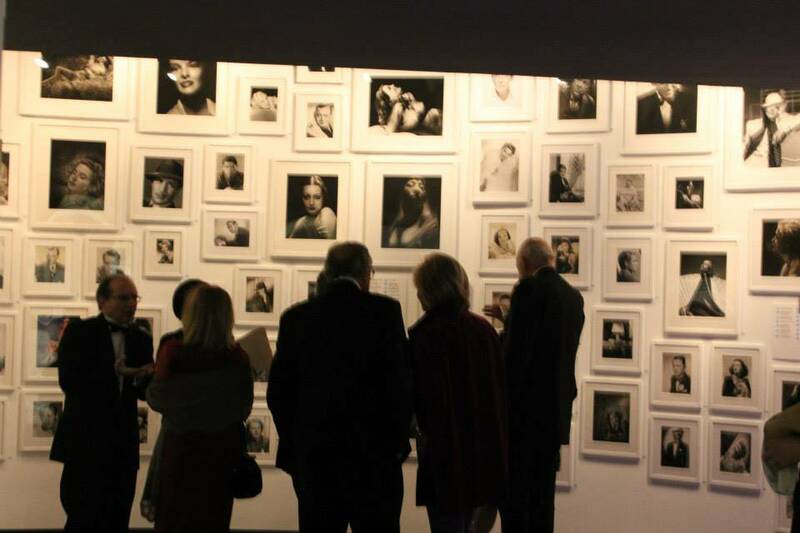 LaFondazioneNY helps, recognizes and supports the projects of Italian and American young talents in the areas of figurative arts, music, cinema, literature, design, architecture, dance and theatre.